We perform both individual and group educational programs for employees. Individually, we educate the employee based upon their current need. We teach the employee how to position their body while performing different types of work activity. We identify and discuss all activities of daily living that might impact the health of the employee. Sleeping posture, hobbies, lifestyle, self-care, and other topics are addressed to improve the wellbeing of the individual. Specific to prevention and first aid of the musculoskeletal system, we educate the employee in techniques of hot/cold therapy, non-rigid supports, self-massage and appropriate use of over-the-counter medications and remedies. Our expert instructors have performed hundreds of on-site training programs at all hours of the day and night and across a broad spectrum of industries. Production Worker Training: this program consists of fundamental ergonomic awareness, body mechanics training, lifting techniques, and preventative exercises. Office Worker Training: this program consists of fundamental ergonomic awareness, proper office, and computer workstation setup, body mechanics training, and preventative exercises. 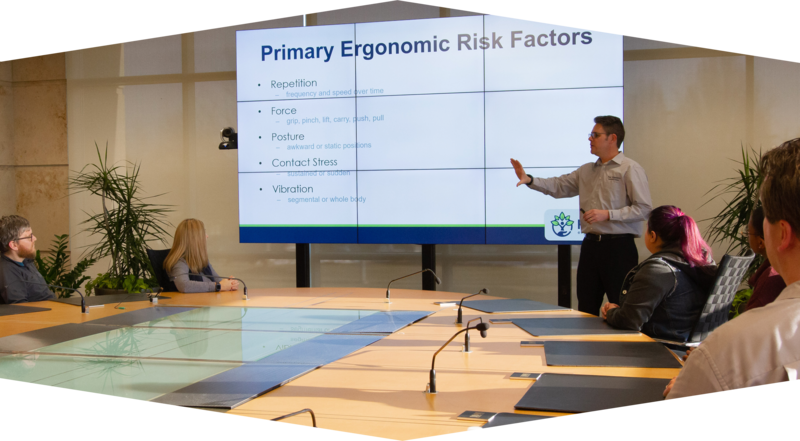 Executive Team Training: this program is aimed at helping the top level of management to understand the importance of ergonomics to their business. 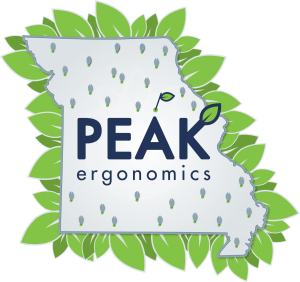 Advanced Ergo Team Training: this program is a deep dive into ergonomics for employees that will be leading the ergonomics initiative. How many people can be in each class? The smaller the class size, the more effective the training will be. We prefer to have no more than 10-15 people per class; however, we will do whatever our client asks.